DON BROCO, to anyone who knows them, are a very special band. 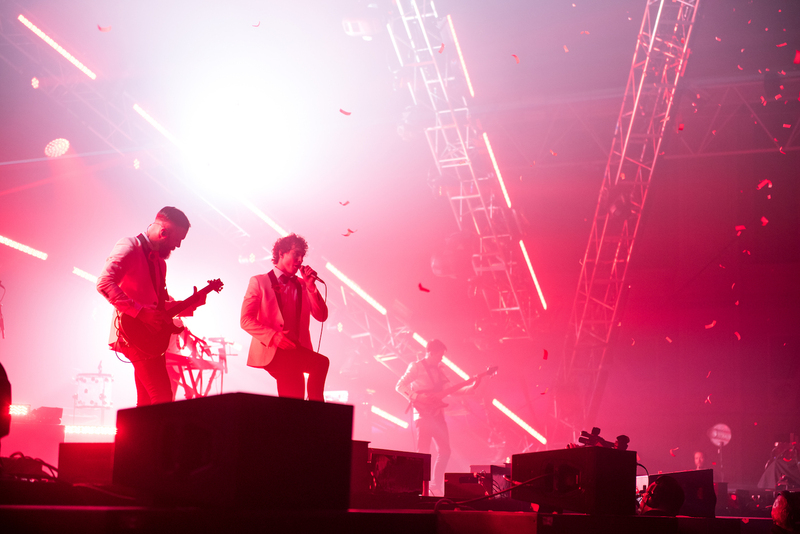 Despite easily selling out the 10,000-capacity Alexandra Palace venue last weekend, they continue to feel like one of the most grassroots and under-appreciated bands of this decade. I first saw BROCO at the tiny Bedford Esquires venue, back in our shared home-town. If anything, the band absolutely proved then that you don’t need big production values to enjoy their unique experience. Despite this being their largest ever performance, ironically with their largest ever production values, the band blew the audience away with what I think was their best ever performance. I managed to squeeze myself into the second row. The band opened with Technology, the single from their new album (named, you guessed it! Technology). The crowd immediately turned feral. After the second song, I regretted having worn glasses, which were now in pieces on the floor. Oh well. Next, Everybody. This popular dance song, once on our C-list, has a catchy accompanying dance. Despite Ally Pally being more packed than ever, and not a single person standing with their personal space uninfringed, a lot of the audience attempted the cowboy dance. After playing some bangers from their last album Automatic, BROCO smashed out some tracks from their debut studio album Priorities. This was followed by one of their oldest songs, nearly ten years old, Thug Workout. A guaranteed play at any DB show, this heavy hit never fails to strike a chord with the audience. Combined with an absolutely epic light show (lasers never go amiss! ), those in the mosh-pit seemed to be having the time of their lives. Rarely do I get to go to a show and see such an overwhelmingly positive response to support acts. At a lot of concerts, fans wait impatiently for the main act and pay little or no attention to support. That didn’t happen at this show. The American band State Champs, who DON BROCO accompanied on their first ever U.S.A tour, lent their vocalist Derek DiScanio to Further – a slightly downbeat song from the Automatic album. Rob introduced their penultimate track, T-Shirt Song, with a prelude about what the song meant to the him and to band. He spoke briefly about how he and a friend had been in a very low place when the song was written. He spoke about how he found himself in a club, when the DJ dropped the Baywatch theme, and how the inspiration came from the crowd, who took off their t-shirts and swung them around above. This really struck a chord with the audience, who then did exactly this – and starred in the music video for the new song. A rock concert is never complete without an on-stage proposal, and that’s exactly what happened before Broco’s final song, Pretty. The lights dimmed, and a strange figure approached, giving a speech. An ex-Army veteran, he proposed to his now-fiancé. The band returned wearing their infamous white suits, before performing their final song of the set. Pretty, released in May, showcased the band’s new style. Featuring lots of heavy guitar riffs, they wrapped the show leaving the crowd wanting more, and also covered head-to-toe in moshpit bruises. As alumna from Bedford Modern, the school that DON BROCO formed at, I wasn’t at all surprised to see the Bedford crowd at Ally Pally. There were enough of us that the band thought we deserved a shout-out mid-set – you could definitely hear our response. Some of the band’s old teachers made an appearance in the lobby at the end. It’s really heartwarming to see a band that were once so small having flourished. A huge thanks to Kane Layland for the photograph.